of some super cute and easy costumes you can make yourself from things you may already have around the house. How about this adorable paper doll costume! I thought this was really cute. If you don't have the fake fur, you can even use some old carpeting, a sample of carpeting from your local home improvement store or some felt! 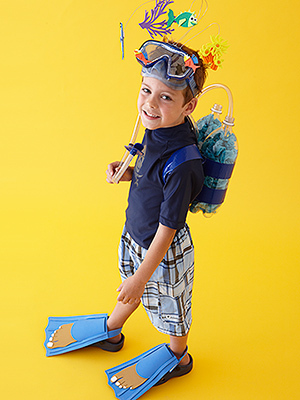 I think this scuba diver is so unique. I love it even for after Halloween. 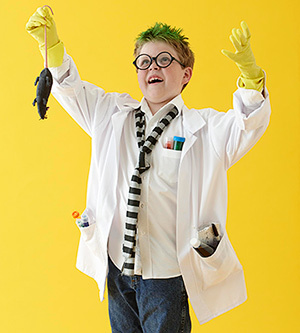 This mad scientist costume is easy and can even be done by a teen. 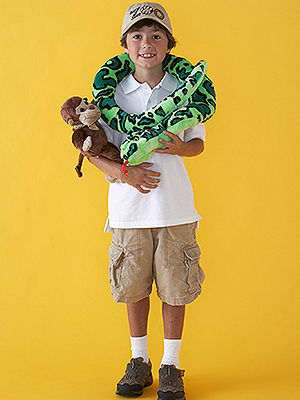 This zookeeper costume would be way easy to make especially by tapping into all the stuffed animals your kid has (if he or she is like my kid) and could be done by either boy or girl! 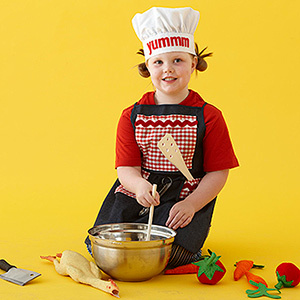 Another one that could be done by either boy or girl is this adorable chef! My kid is going as - what else? An army guy! Don't forget to check back tomorrow for some more Halloween ideas. Or better yet why not follow along with Google Friend over there on the right and subscribe via email so you don't miss a single post! Fantastic costume ideas! I would be delighted to have you stop by and link this up to my VIP party this weekend! http://designergarden.blogspot.com/2011/10/vip-party-34.html Have a safe and happy halloween!